(May 21) and Africa Day (May 25). The South African Chapter of leading pan-African culture organisation, the Arterial Network invites cultural leaders, thinkers and creative entrepreneurs to a series of dynamic Reading Group sessions in Jo’burg, Polokwane, Durban and Cape Town. The Jo’burg Reading Group takes place at the Goethe-Institut, 119 Jan Smuts Avenue, cnr Newport Street, Parkwood (above Zoo Lake) on Africa Day, Wednesday May 25 from 5.30pm to 7.30pm. Newly elected chairman and acclaimed producer and director, Rehad Desai will be the guest speaker. The topic for discussion is titled: Is turning plurality and diversity of voice into a reality in Africa a pipe dream, or an achievable goal? In Durban on Africa Day, local artist and activist Doung Jahangeer will be exploring the concept of cultural diversity. He will be interrogating the meaning of 'cultural diversity', together with fellow artist Peter McKenzie, with particular focus on what he calls the “post-apartheid cultural space that is primarily the pavement”. Jahangeer will also be discussing the twin notions of 'united cultural diversity' and 'segregated cultural diversity' speak on the UN Convention on Cultural Diversity. The session takes place at the Centre for Creative arts on May 25 from 6.30pm to 8.30pm. In Polokwane, the Reading Group on May 25 is at 3pm at the Polokwane Art Museum and Gallery (Library Gardens, Van Rensburg St, Polokwane). The AN SA, the Limpopo Arts & Culture Association (LACA) and the Polokwane Art Museum & Gallery (PAMG) are collaborating to host this session. Secretary General on the LACA Board/Exco, Arlette Franks will give a brief introduction of Arterial Network SA and discuss localised issues that fall under the theme of Cultural Diversity. In Cape Town on May 21, Cultural Diversity & Dialogue Day, Jeannette Unite will speak on cultural diversity and values in the context of her recent EARTHSCARS project. Mirjam Asmal-Dik will speak on the UN Convention on Cultural Diversity. The session will take place from 2pm to 3.30pm at The Gallery, Africa Centre, 44 Long Street. Rehad Desai, Arterial Network South Africa Chair/Country Representative said: “The UN Convention on the Protection and Promotion of the Diversity of Cultural Expressions is a document that governs and directs policy decisions which affect how artists in South Africa and the continent operate and exist. “These Reading Group sessions have been created as spaces for rigorous dialogue and analysis of the impact and implications for the South African arts and culture landscape. Our intention is to empower cultural actors by increasing access to knowledge through participative processes which articulate and amplify issues and facilitate understanding. The aim is to devise collective solutions and ultimately influence policy direction through civic expression. We look forward to insightful and progressive outcomes from the Reading Group sessions”. 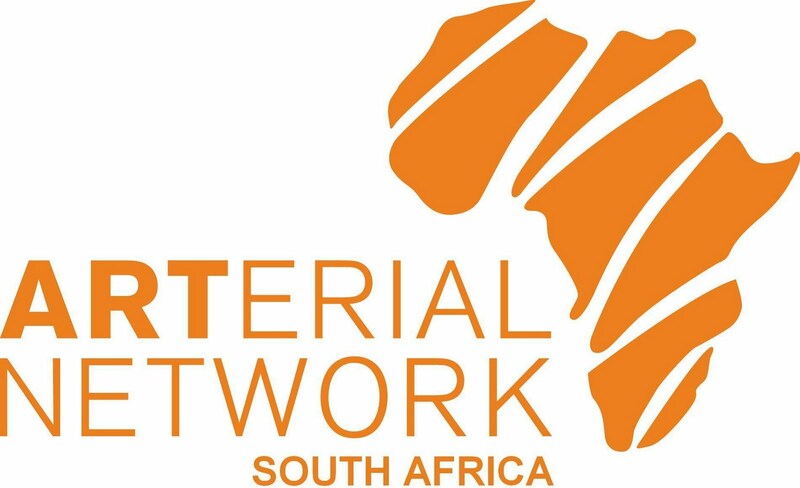 As part of the Arterial Network’s advocacy and knowledge management goals, all sessions will be moderated and packaged into a position statement which will be published through the Arterial Network newsletter and other partner channels throughout Africa. The events are free of charge and open to the public. Rehad Desai is a Producer/Director who runs his own company Uhuru Productions Following his return from exile in the UK Rehad worked as a trade union organiser, a health and safety/media officer for a chemical workers union and a Director of a HIV prevention NGO. In 1997 he completed his Masters Degree in Social History at the University of the Witwatersrand. Rehad then entered the TV and film industry as TV current affairs journalist, and soon after moved on to focused much of his energy on historical and socio-political documentary film. He has produced over 20 documentaries, many have been broadcast internationally, accepted into numerous festivals and been received with critical acclaim. In 2009-10 he produced a 13 part drama series for SABC He is Festival Director for the Tri –Continental Film Festival and Conference Director of the People to People International Documentary Conference. Rehad is a board member of the South African Screen Federation and Executive Comm. member of the Independent Producers Organisation. In 2011 he was elected as the Chairperson of the Arterial Network South Africa. Mirjam Asmal-Dik operates as an independent curator/producer/advisor of contemporary art events, currently with mandate from !Khwa ttu San Culture and Education Centre. Originally from the Netherlands, Mirjam completed a Bachelors degree in International Management before obtaining her Masters in the History of Art, specializing in Indian contemporary art, from the University of Amsterdam. In 2006 and 2009 she held the post of Managing Director of CAPE Africa Platform, producing large-scale biennale exhibitions in Cape Town. Jeannette Unite has explored the industrial landscape in over twelve years of on-going travel and research. Her work is in collections such as largest law firm, Clifford Chance in Brussels, MTN, Development Bank, Old Mutual HQ, London, Anglo KUMBA and her Headgear exhibition was AngloGold Ashante’s Gold of Africa Galleries inaugural exhibition at the Turbine Hall Johannesburg. Unite’s awards include a Kellogg’s Foundation year scholarship, a public art commission for the Department of Science and Technology and she exhibited at the Tashkent Biennale in Uzbekistan in 2009 where she won an award for the most unique use of material. In September 2010 Unite was selected as one of four South African artists to participate in the Beijing Biennale. South Africa’s rich and contentious mining histories provide the point of departure for Jeannette Unite’s Earthscars. Arterial Network is a continental network of artists, cultural activists, arts NGOs, cultural enterprises and others committed to developing African music, dance, theatre, literature, craft, design, visual art and film in their own right, and as means to contribute to democracy, human rights and development in Africa. Arterial Network is administered by a Secretariat based in Cape Town, with regional secretariats in KZN and Jo’burg. 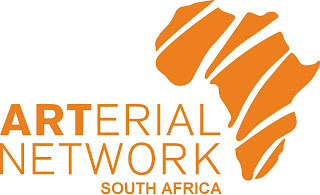 Arterial Network South Africa was formed on 20 August 2010 as a national centre of The Arterial Network Continental body which operates across Africa.